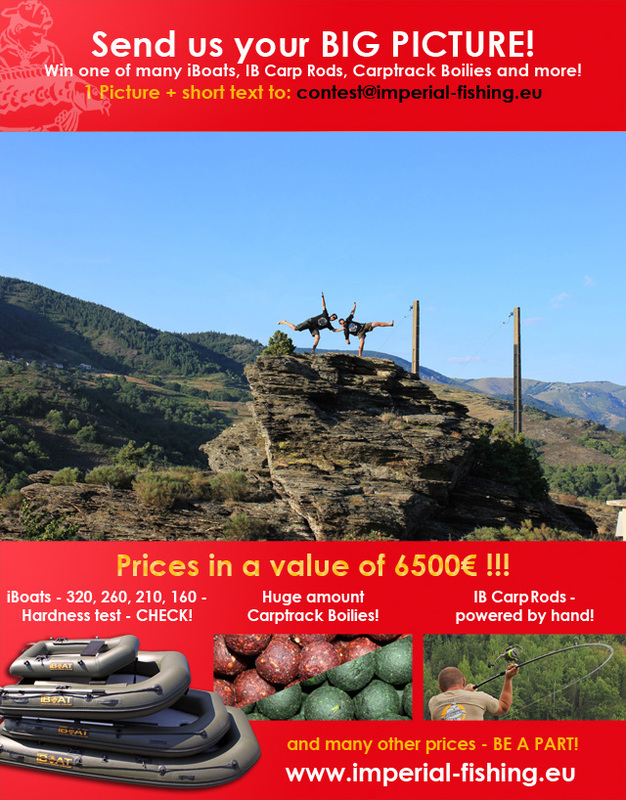 BIG PICTURE CONTEST „My Best Moment“ – European wide! 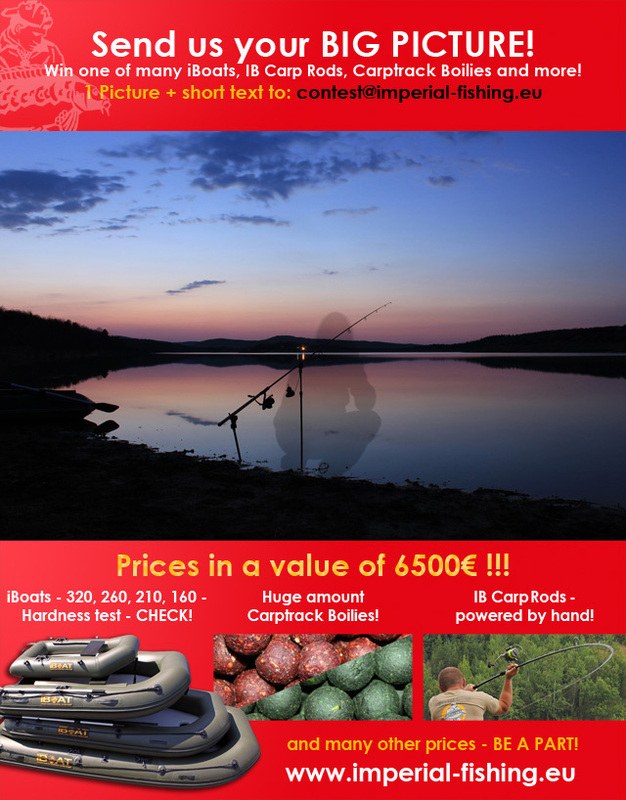 – we are searching for the best in the range of carp fishing – your personal favourite – your “best moment” and very important – a little story about it. 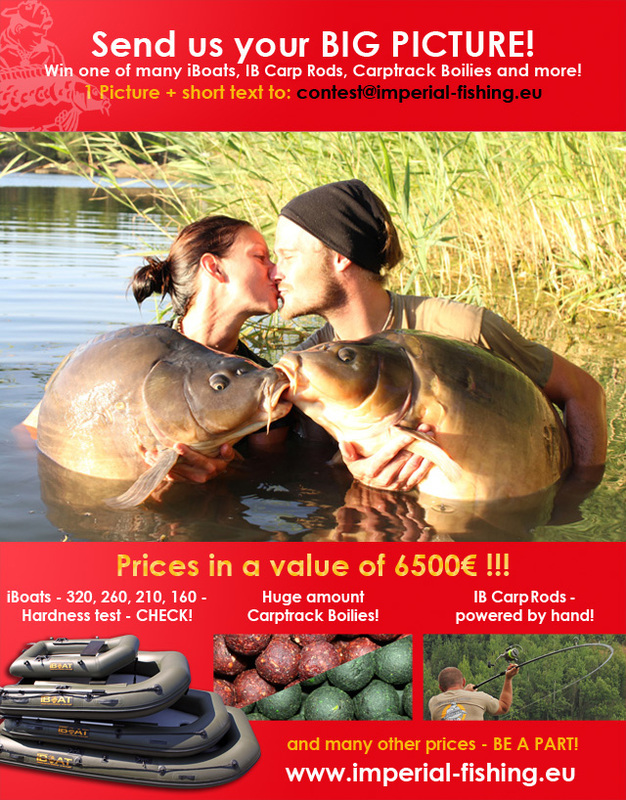 After having awarded in 2011 and 2012 the Carp-Girl of the year, we want to invite in this year all carp fishers in Europe, to participate at the Big Picture Contest „My Best Moment“. This Big Picture Contest is a „Grand-Action“ during which we do not simply search for the most beautiful fish or the prettiest fish picture! 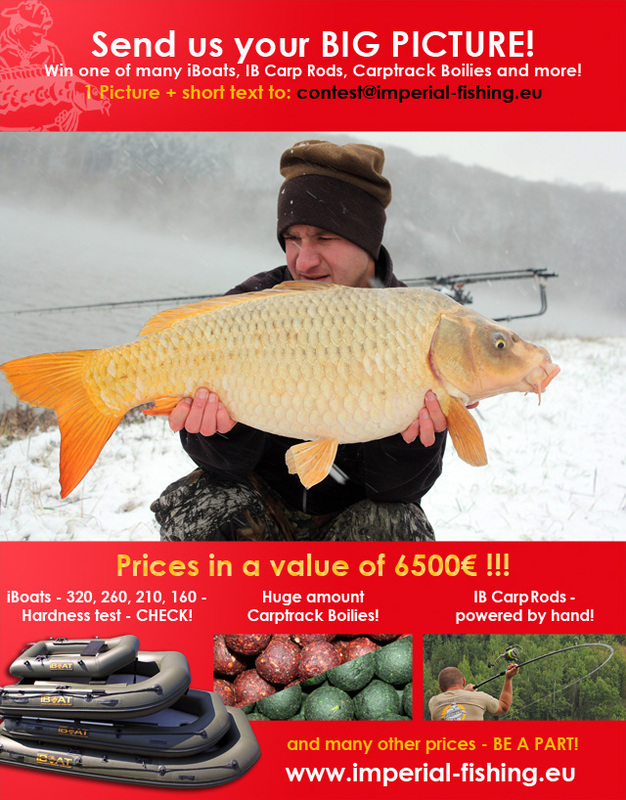 By the end we want to publish a huge collection of first-class pictures telling a story, that expresses all the facets of carp fishing and will constitute a source of inspiration for all of us. We believe that the composition of a picture and a short describing, telling story (max. 250 words) will appeal a very special force to the beholder and a top selection of those will represent a huge personal gain to our hobby and will be motivating for all of us. 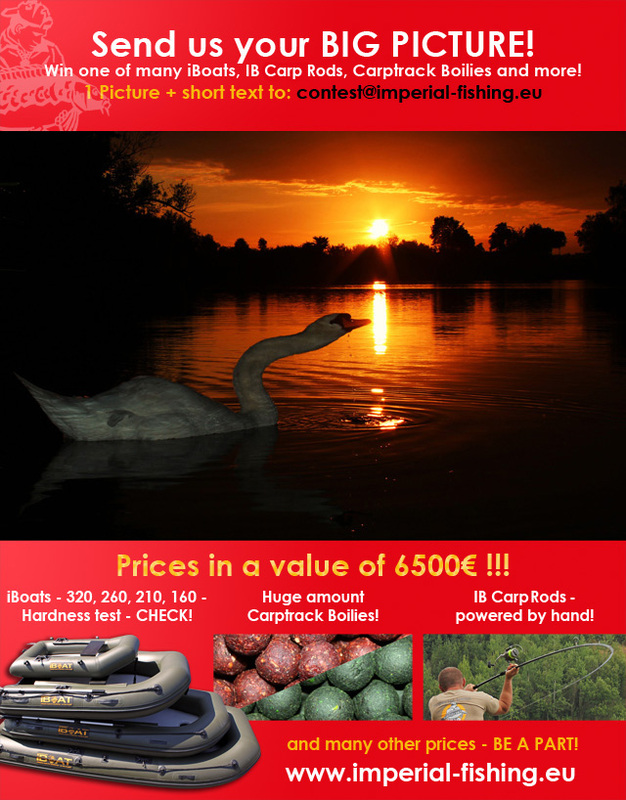 We would feel honoured, if YOU would take part at our contest and share your „Best Moment“ + picture story with carp fishers European wide. Big Bonus: Teamsponsoring for one year! As the posting and publishing of inspiring pictures and texts is part and parcel of a team membership, we will choose at least one new team member out of all senders and offer an A-sponsoring contract for initially one year. 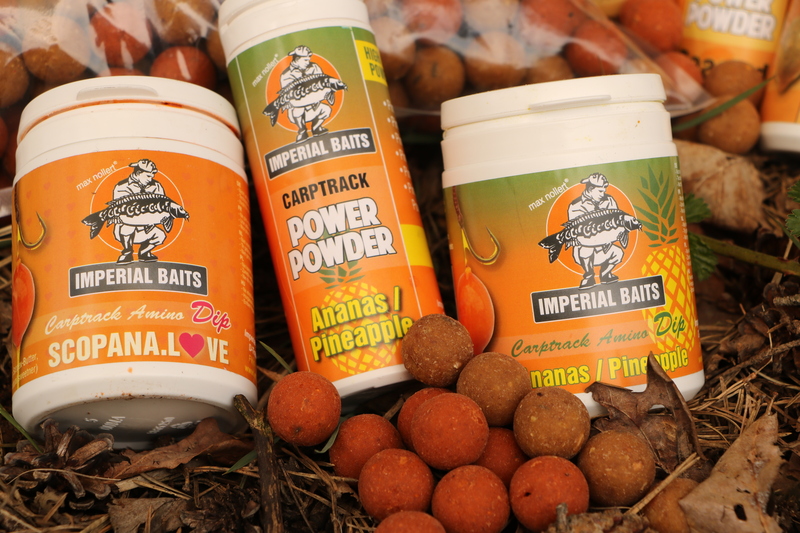 Caution: All picture styles are allowed, it does not care if fish, impression, action, most amazing or pure passion, we leave the choice to you. 2. Out of all submissions we choose max. 50 pictures and texts that are released to the voting. 3. At the 08.01.2014 the voting for the Big Picture “My best Moment” Award starts. 4. At the 10.02.2014 the voting and the winner will be announced. The sender of the picture assures that the pictured person does agree to the release in the Internet such as print-medias and transfers all the rights. The sender assures to be the initiator of the taken picture. With the submission you agree with being automatically registered to our newsletter. 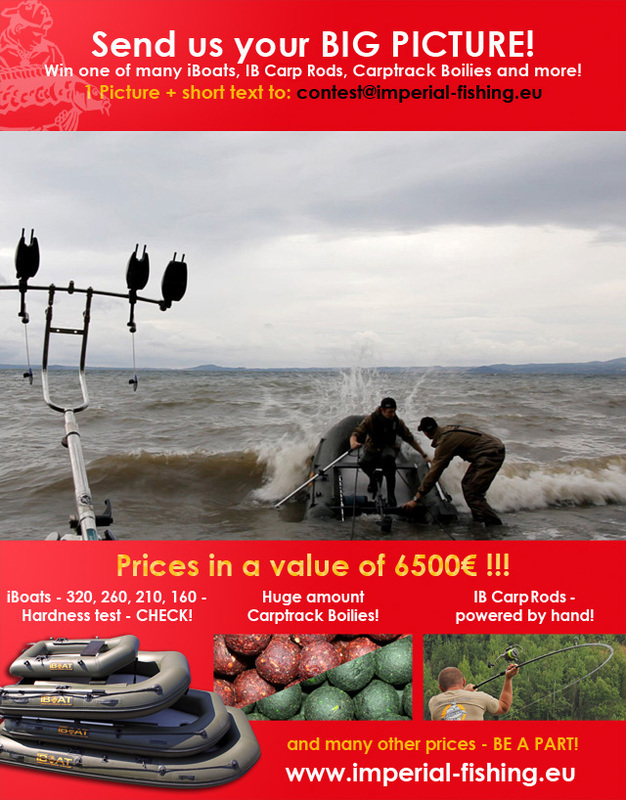 We send it all one to two weeks and inform shortly about news at Imperial Fishing. Resignation is possible at any time. The huge waves of the giant Lago di Bolsena- that was a first class adrenaline rush! Allready the placement of the rods required highest concentration. Thant he bites came, Max and Julian had to row out on the giant waves to repress the wild Bolsena Carp. An incredible feeling to be pressed up and down by the floods, a violent Bolsena Carp jerks on your rod- an interminable fight! It happened during a strong snowstorm- FULLRUN! Leaving the warm home into the cold, the icy wind slaps your face. 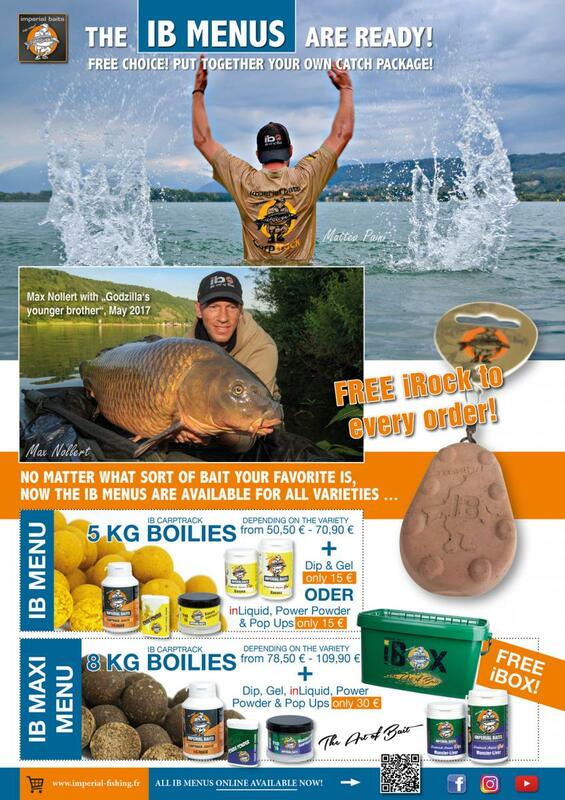 This BIG picture of Christian Quintus stands for an ice cold session with a beautiful catch. Stefan and Steffi Fiedel- a dreamteam during a summer session in the south. This picture reminds an unforgettable moment. Stefan poses with a dream fish of more than 30 kg, which he desired for so long, and near him his girlfriend Steffi with a huge fish of more than 20kg. This BIG picture represents an interminable journey. Andy Stark and Philip Bettini lived through a real adventure fishing trip of several months through the south of France. With just the necessary in the luggage these guys struggled through the landscape and burned impressing pictures of sensational catches on their memory cards. An Update will follow on our iBlog soon! Tobias Seeber shot this lovely picture during the sunset. Such perfect moments are worth a BIG picture! My thoughts are always circling my rod! This “Ghost Shot Picture” of Stefan Fiedel expresses just this.